Who said that games are just for kids? Let’s play “I spy.” I spy something round. It is a type of citrus plant. It is known for its abundance in Vitamin C and other minerals. It is both sweet and sour in taste, and people just dig its zesty flavor. Most people peel it first before they eat it. What is it? Did someone say orange? Yes, it’s orange! Orange is one of the most popular fruits in Asia, Africa, and America, but very few consume its peel, which in fact is healthier than the flesh of this fruit (granted, of course, that it is organic and free of pesticide). Orange peels are highly rich in flavonoids which are antioxidant compounds found mostly in fruits and vegetables. The peel contains over 60 kinds of flavonoids and 170 different types of phytonutrients along with calcium, copper, magnesium, vitamin A, folate, B vitamins, and Vitamin C. Did you know that the orange peel provides 136 mg of Vitamin C in contrast to its flesh which contains only 71 mg? 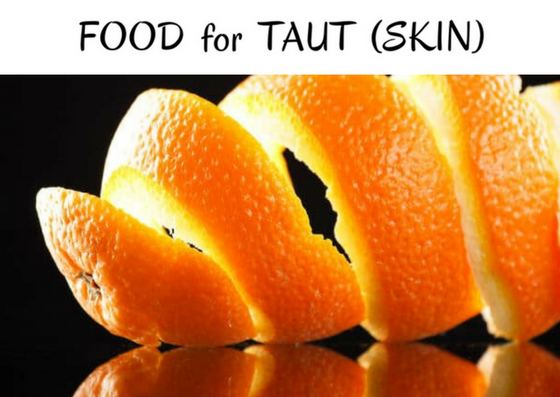 This makes orange peel an effective natural bleach and scrub for the skin. It also helps relieve sunburn, balance the skin tone, and cleanse the skin pores. If you have acne-prone skin, the phenolic antioxidant content of the peel will eliminate the acne-causing bacteria, while the flavonoid nobiletin will lessen the sebum production of the skin. Now, that’s the easiest way to achieve a fair and young-looking skin naturally. Orange peels are also good at keeping our heart healthy. The flavonoids it contains help lower our cholesterol and blood pressure, and it reduces our risk of acquiring heart inflammations and diseases. In a study by Elzbieta Kurowska, PhD, the vice president of research at KGK Synergize, it is revealed that the flavonoid hesperidin and polymethoxyflavone (PMFs) in peels significantly lowered the cholesterol levels and high diastolic blood pressure of middle-aged overweight men in just four weeks. The orange peel amazingly beat some prescription drugs in this effect, and it is also without the risk of side effects. Similarly, it provides excellent protection against respiratory diseases as well as treatment for asthma, bronchitis, flu, colds, cough, and lung cancer. It is an effective cleansing agent as it has the capability to break down and expel phlegm that is congested inside the lungs. Since orange peels are about 61-69% dietary fiber, it is a great digestive aid particularly for acidity and gas problems, indigestion, and heartburn. It also increases our metabolism, so it is a pretty good choice if you are trying to lose weight. If you are the kind of person that has a lot of allergies and is often worried that one of your allergies might be triggered any minute, you should definitely consider eating orange peels. Its compounds prevent the release of histamines, chemicals which cause allergic reactions, making it a potential anti-allergic food (however, it is always better to carry an anti-histamine medicine for severe allergies). So far, we can agree that the orange peel promises a lot of health benefits to us. But its most important contribution is its anti-cancer properties. The flavonoid polymethoxyflavone (PMF) in the peel can inhibit the expression of the RLIP76 protein in our genes, the protein which is linked to obesity and cancer. In the study conducted by Dr. Sanjay Awasthi, a professor in the Division of Molecular Diabetes Research, he stated that "when you get rid of this [RLIP76] gene in a mouse, it would appear that the mouse can't get obese, it can't get diabetes, it can't get high cholesterol, and it can't get cancer." According to a journal published in BioMed Research International, the PMFs inhibit carcinogenesis of the cancer cells by blocking the metastasis cascade (spread of the cancer cells to other organs) and prevent its mobility to the circulatory system. The World Health Organization (WHO) affirmed that cancer is the second leading cause of death globally. Fortunately, orange peels can prevent a few such as skin, breast, lung, and colon cancer. I am reminded of the proverb, “An ounce of prevention is better than a pound of cure.” I say, orange peel might just be the next best cure. 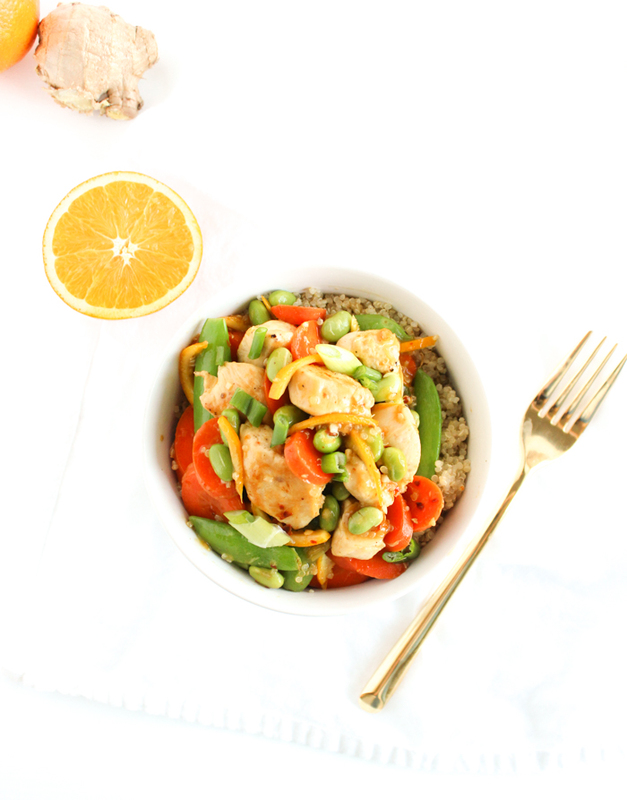 So why not try to incorporate orange peels in your daily diet and start off with Kaleigh McMordie’s mouthwatering Orange Peel Chicken Recipe? In a medium bowl, whisk together sauce ingredients. Set aside. Heat a large nonstick skillet over medium heat. Add oil. Season chicken with salt and pepper and add to skillet, stirring occasionally so that all sides get browned. Continue cooking until chicken is cooked through, 5-8 minutes. Remove the chicken from skillet and set aside. Add carrots, snow peas and edamame to skillet and cook, stirring, until carrots are softened, about 5 minutes. Add chicken back to the skillet and pour in sauce. Cook until sauce is thickened, about 5 more minutes. Sprinkle with green onions before serving. Serve with cooked brown rice, quinoa, or cauliflower rice. What’s more attractive than a peel with appeal?